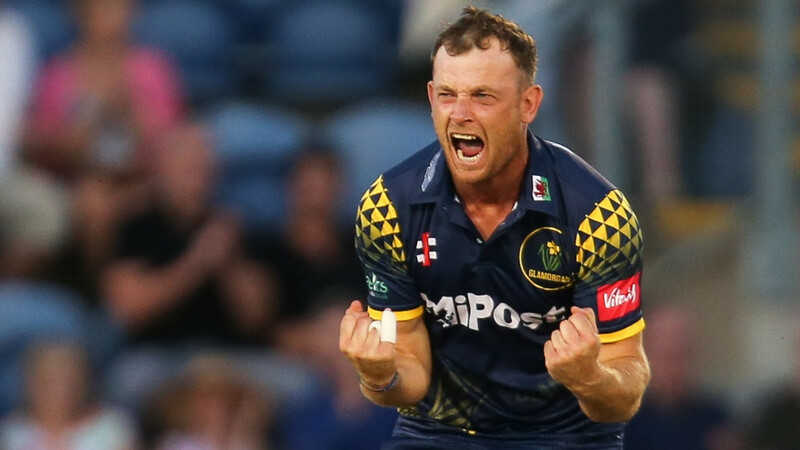 Glamorgan Cricket is delighted to announce that Graham Wagg has been awarded a testimonial year in 2019. Wagg joined Glamorgan in 2011 after previously playing for Warwickshire and Derbyshire, in addition to representing England Under 19s and England A. He was awarded his Glamorgan cap in 2013 and has made 223 appearances for the Club across all formats. The all-rounder has scored 3,362 runs in first-class matches for the Welsh county, including three hundreds, as well as taking 221 wickets. In white-ball games for Glamorgan, he has made 1,771 runs and has 148 wickets to his name. In 2015 he struck a career-best 200 against Surrey at Guildford which saw him become the first No 8 to score a double hundred in the County Championship since 2000. It was also the highest-ever score by a number eight in first-class cricket for Glamorgan. At the time, his tally of 11 sixes broke the club record of nine in a championship innings, set by Malcolm Nash against Gloucestershire at Swansea in 1973. Wagg also holds the best-ever bowling figures by a Glamorgan player in T20 - he took 5/14 against Worcestershire at New Road in 2013. “I feel extremely honoured to have been granted a testimonial year with Glamorgan,” said Wagg. “Since the moment I joined, the county has embraced me and made me feel like an honourary Welshman. “I consider myself to be extremely fortunate to have had such a long career and I still have the same enthusiasm for the game as I did all those years ago. Chief Executive, Hugh Morris, said: “Waggy has served Glamorgan with distinction over a number of years and as a club we are delighted to offer him a testimonial. “He is known as one of the great characters of the game and his passion for the game is second to none. “He is still a fiercely competitive cricketer who put in some fantastic performances for us this season and I’m sure will continue to do so next year. Details of events for Wagg’s testimonial year will be announced in the New Year.